The next model of Caterham car is to be designed online, it has been announced. According to the motor manufacturer, the latest vehicle from the marque will be made in cooperation with Project Splitwheel, which is offering car enthusiasts of any skill the chance to be involved in the production of the vehicle. Initial registration for the venture is now open and full-scale work will begin in the new year. Features on the site are set to include articles, blogs, a user-edited knowledge base and forum discussion to turn input from users into a workable design. 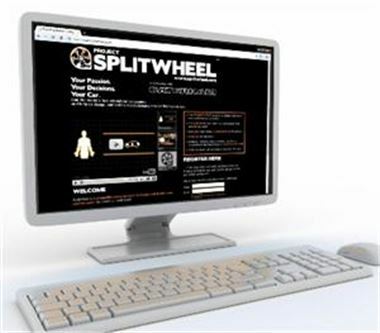 Piers Drake, the automotive consultant behind Project Splitwheel, says this is the first time passion and energy from the internet will result in a high-profile real-world outcome. "Every petrolhead dreams of running their own sports car company. Project Splitwheel is effectively the world&#146;s first 'virtual' car manufacturer and as far as possible we will be asking our members to call the shots," he adds. The Caterham 7 was built by Colin Chapman around half a century ago.